Pillar to Post: FERRIS WHEEL SERIES #11/ SUZHOU? SEZ US! Editor’s note: The following is the 11th in a yearlong monthly series on the world’s mega-sized Ferris wheels. Suzhou Ferris Wheel is a 394-foot tall giant Ferris wheel on the east bank of Jinji Lake in Suzhou, Jiangsu, China. It has 60 passenger cabins, a maximum capacity of 300 passengers, and takes approximately 20 minutes to complete each revolution resulting in a total capacity of 900 people per hour. Suzhou Ferris Wheel is only the second tallest in China, at 120 meters, which is pretty impressive by any international standard. The picturesque location of the wheel on the shores of Jinji Lake, as well as its sheer size are all the reasons anyone would need to take a ride on this impressive structure. 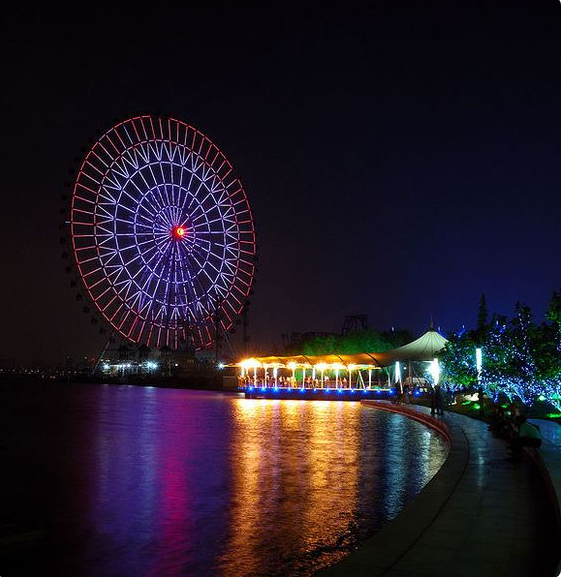 Spend some time taking a walk on the shores of the lake, and at night when the neon lights turn on, take a ride on the wheel to admire the scenery. Suzhou Ferris Wheel was completed May 21, 2009. It is one of four 120 meter tall Ferris wheels in China, the other three being Changsha Ferris Wheel (completed 2004), Tianjin Eye (completed 2008), and Zhengzhou Ferris Wheel (completed 2003). 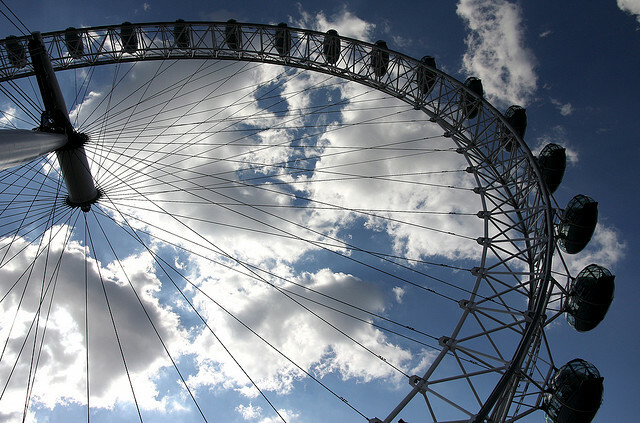 The only Chinese Ferris wheel with a greater height is the 160-metre (525 ft) Star of Nanchang, which opened in 2006.